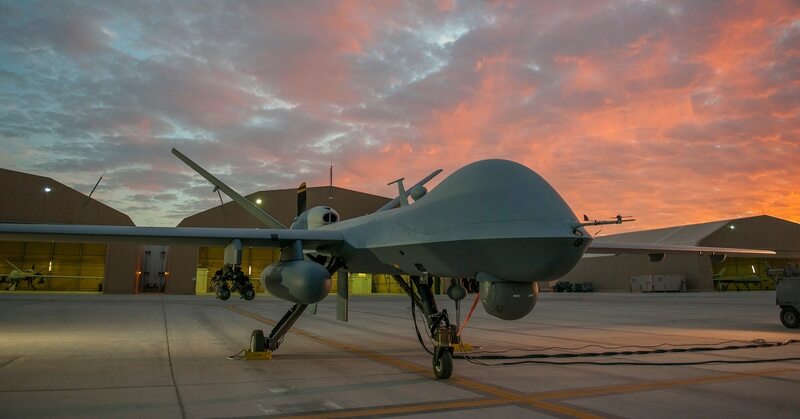 The Corps already controls an array of small tactical drones like the RQ-21 Blackjack, but it lacks the institutional knowledge to operate larger drones, such as the MQ-9 Reaper. But a small group of Marines with Task Force Southwest, operating out of Helmand Province, Afghanistan, now have MQ-9 Reaper support organic to the unit, according to Capt. John Roberts, a spokesman for Task Force Southwest. While the MQ-9 currently is being piloted by contractors, the Corps says the goal is for Marines to eventually pilot the Reapers on their own. It’s a mission the Corps is not accustomed to, as piloting large group five drones like the Reaper generally falls under the purview of the Air Force. 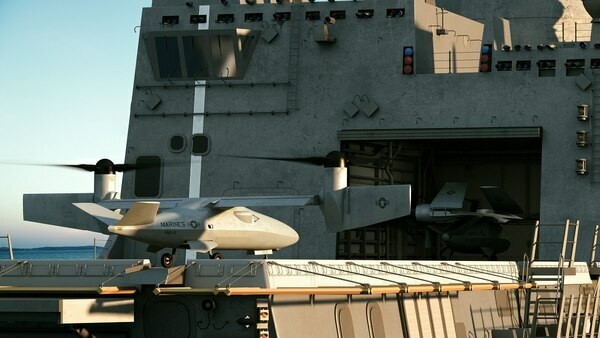 But it serves as a testing case for the Corps’ ability to manage its future mega MUX drone, still in the early stages of research and development. While the Corps doesn’t have a program of record for the Reaper, in June the Defense Department announced a nearly $40 million-dollar award to General Atomics Aeronautical Systems Inc. to provide unmanned aerial intelligence, surveillance and reconnaissance support using an unarmed contractor owned MQ-9 for Task Force Southwest. The Corps’ contractor flown Reaper has been supporting Task Force Southwest since at least the last iteration, according to Roberts. The small group of Marine advisers is currently in its third rotation having just taken the helm of the Helmand battle field at the end of October. The Corps' goal to pilot it’s own Reapers is the latest development spotlighting the Marines' growing reliance on unmanned systems as it operates in austere environments across the globe. The Corps is also amid testing of controlling 15 loitering munition drones from a single user and so far, the Marines have successfully operated six at a single time. And in July, the Corps made a step forward in its transition to the RQ-21 Blackjack as the RQ-7B Shadow made its last flight in Hawaii. The Corps intends to equip the RQ-21 with electronic warfare capabilities giving grunts down range added lethality. The RQ-7B Shadow has been in the Corps’ inventory for nearly a decade, racking up deployments to Iraq, Afghanistan and supporting recent operations against ISIS militants in the Philippines. And the Corps is still in the early stages of procuring a future group five drone known as the MUX. The Corps wants its future sea drone to do everything from electronic warfare, kinetic strike, communications relay, airborne early warning and intelligence collection. 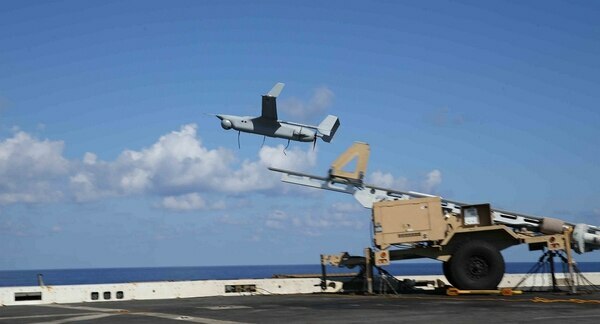 The Corps sees its new MUX drone as the key to operating independent from the Navy’s aircraft carrier strike groups. The MUX’s expected airborne warning system will fill the void of the Navy’s E-2D Hawkeye, but the Corps is not likely to have a fully operational platform until sometime in 2030. The Corps’ MQ-9 in Afghanistan is part of the early preliminary stages for the Corps to eventually manage and fly a large drone in a combat environment. The Reaper also brings necessary intelligence and reconnaissance capabilities to the small group of Marine advisers as the situation in Afghanistan continues to worsen. According to a recent report from the government watchdog group Special Inspector General for Afghanistan Reconstruction, or SIGAR, the Afghan government only controls about 55 percent of its districts, the lowest level since SIGAR began reporting the figure in 2015. Conditions in Helmand appear to remain in a stalemate as district control between Taliban militants and government forces has remained unchanged over the last three quarters, according to SIGAR. Nine of 14 districts in Helmand are controlled or influenced by militants. The New York Times reported that nearly 28,000 Afghan forces have been killed since 2015. While many places across Afghanistan were mired in violence during the October parliamentary elections, Roberts told Marine Corps Times that voter participation in Helmand was higher than expected. That was in part due to efforts by the previous two Task Force Southwest deployments that helped expand the security bubble around the provincial capital of Lashkar Gah. 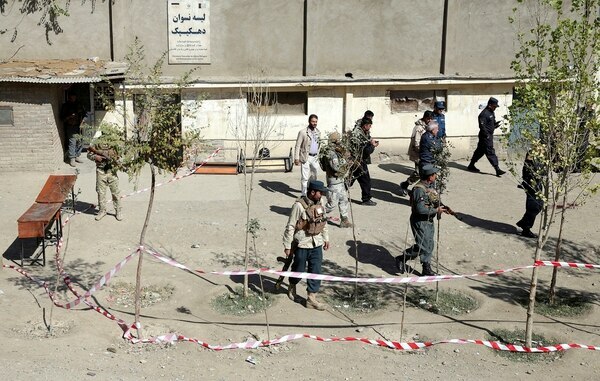 “The Taliban were kept out of the cities and the violence stayed on the periphery of the security belt,” Roberts said. “Our focus remains on training and advising the ANA and ANP at the Corps, Zone, Provincial, and Brigade levels enabling them to continue the Afghan-led, Afghan-owned campaign to bring the Taliban to the negotiating table,” Roberts said.